R Hotels has appointed Binu Varghese as the new hotel manager of Hawthorn Suites by Wyndham Jumeirah Beach Residence in Dubai. In his role, Varghese will lead the 188-key property and head its overall operations and strategies. He brings in more than 20 years of hospitality experience, consisting mainly of sales and marketing roles with international hotel brands. 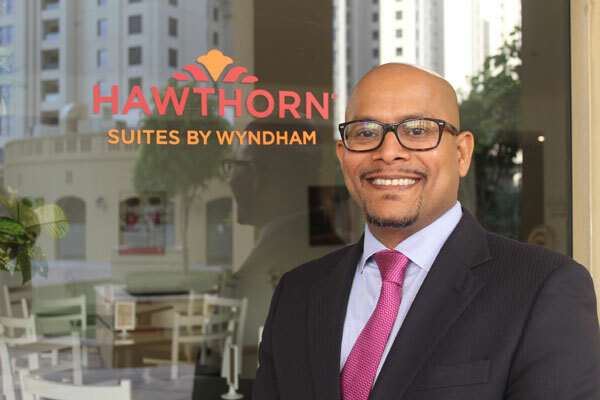 Prior to joining Hawthorn Suites by Wyndham, he was the director of sales and marketing at Millennium Airport Hotel Dubai and Copthorne Hotel Dubai, managing nearly a thousand keys. He was previously affiliated with Wyndham Hotel Group and served as executive assistant manager (EAM) for operations at Wyndham Dubai Marina. He held the same role as EAM for pre-opening support at various Wyndham properties in GCC and Africa including Ramada City Centre Manama, Ramada Addis Ababa and Ramada Resort Dar es Salaam. He also served as cluster director of sales and marketing at Ramada Plaza JBR and Ramada Sharjah.